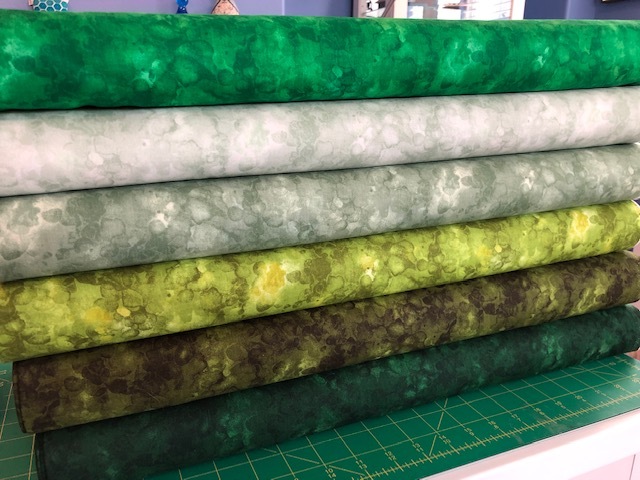 In honor of the Solid-ish line expanding from 30 to 60 fabulous colors in 2019, Timeless Treasures Fabrics and I are sponsoring a HUGE GIVEAWAY! This is your chance to win four fat quarter bundles containing ALL 60 fabrics! All 60 SOLID-ISH fabrics could be yours! All you have to do is leave a comment here on the blog telling me how you are inspired by these fabrics! You’ll get an additional entry if you SHARE this post on Facebook! A winner will be chosen on Monday, April 1st. Check back here to see if you won. 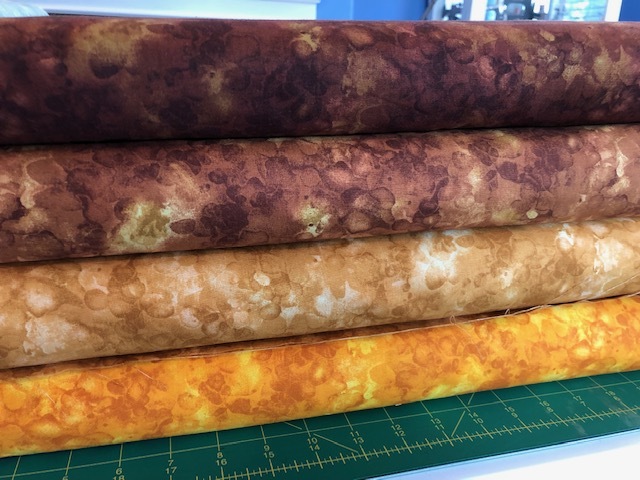 And I’d like to give a HUGE shout-out and THANK YOU to the good folks at Timeless Treasures fabrics for providing the fat quarter bundles as the prize. Congratulations, Helen! 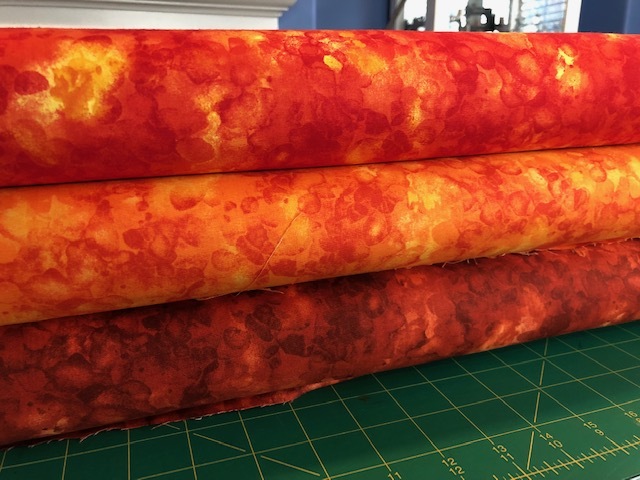 We’re excited to see what you do with these beautiful fabrics! Ooo! All the new colors are so pretty! I just keep seeing flower colors in them! Definitely have a spring quilt in mind! I love the pinks–some flamingos would be nice. Especially here in Florida, where its nice and warm. I love the blues, pinks, and oranges-they’d look so pretty in a mountain sunset quilt! I used some of your original fabrics in a wedding quilt that focused on bees and now you have the perfect colors for a quilt I plan to design with a focus on scuba diving. Just wish I could find the fabric locally. These colors are beautiful!! Just looking at them makes me want to get out my quilt books to find the perfect pattern for these colors. Because these are not busy prints, I feel like they would be beautiful in simple pieced blocks. These colors remind me of the seasons. A quilt made with simple blocks out of all these colors could be used year round. Now I want to leave school early and go home and quilt. Most recently, I used some greens for St. Patrick’s Day pillows. Perfect for a field of shamrocks. Excited you are expanding the line! Love all the new colors and I have the perfect pattern to feature them! A sampler of modern blocks. Those colors are gorgeous, so saturated and rich! Wow! What fabulous colors. Great blenders or stars all by themselves. These colors a just awesome. 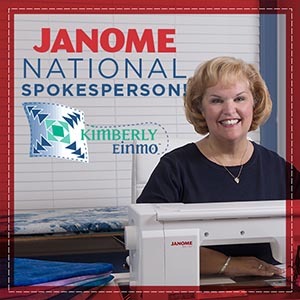 A quilt with water, flowers or just a wonderful pieced quilt with every fabric – so many quilts patterns to choose from — many from Kimberly herself! sunrise on a sandy beach with a lovely ocean view…. I love how fresh and vivid these colors are. I love to make samplers….so many patterns to choose from. I’m planning a citrusy quilt and many of these will work! Others will find homes in future happy quilts! I’m inspired to make a pineapple blossom and oh Susannah quilts with these solidish. I can’t wait! 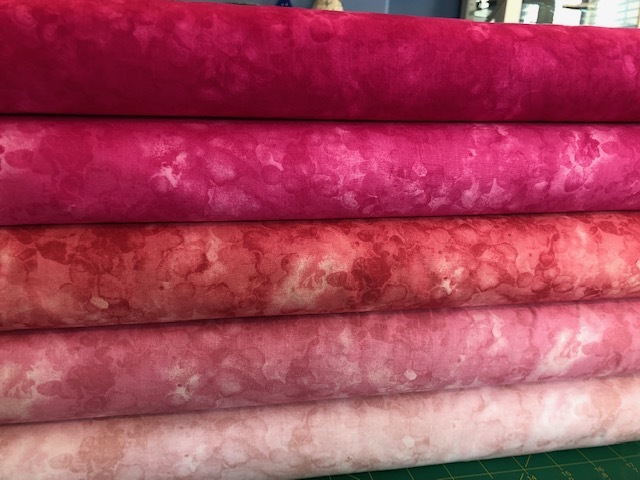 This new fabric line is gorgeous!! Hope to see you in VT! Ooh, I love all the colors and can’t wait to get started! I love textured solids. I am slowly restructuring my stash and going back to the ‘color blocking’ I learned in Design classes. I have always gravitated towards bolder colors in fashion. I love how the colors ‘twinkle’. Such yummy colors – so rich and vibrant. These vivid colours would look beautiful in a stain glass quilt. They are like a kaladiscope of colors. It reminds me of how your designs lend themselves to a variety of colors. It would be fun to find the right design to incorporate them in. I see a lot of applique. I’m becoming a Chain Saw addict! These would look awesome in a Chain Saw quilt! All the colors are SO beautiful! I love your beautiful fabric. I love, love, love these colors. And, Cheeto said he was saving them for me! Fun colors! They’d make a great color wheel quilt! Of course I try because I am working with the first bundle to make my first “big”creation and I love all the colours mixing them with black ! I thank you and Timeless Treasures for such a great giveaway! I have some colors that are green, red, and gold. I would love to add to my collection. I am trying to make a Log Cabin Quilt in the shape of a star. The colors would be fantastic. Thank you for the opportunity! Love these colors they are beautiful! 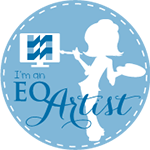 I would love to use them in the quilts that I do for our battered women! Great colors. Eager to try them out. Love the colors. They are beautiful. 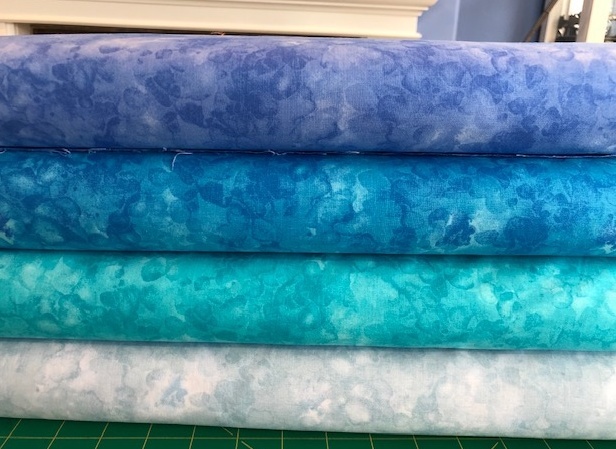 Lovely fabrics – those blues make think of the ocean and jumping off in a splashy water quilt!!! I love all the colors! Would love to win! The colors are beautiful. They get my mind to thinking of bargello quilts, or French braid quilts. I love scrappy but these colors deserve to stand on their own. Such pretty colors! They would make great blenders for any quilt that I would make. Love the beautiful colors, they would make a beautiful quilt!! WOW!! Kimberly these are gorgeous. I have just the pattern I would like to use them in mine. Miss seeing the last couple of years at VQF. Oh my Kimberly, you inspire me so much! These colors are so yummy and I am seeing them in so many different ways, starting with the fall color ones in a fall leaf quilt and all of them in a modern sampler quilt. Oh and the blues in a bargello. See my mind is working overtime. They would be great where batiks are called for. Oh, I want, I want! This is quite a rainbow of lovely colors and would make any pattern look great. Love all the colors! Can’t decide on a project. So much potential here in these colors, spring flowers, portraits, maybe a traditional quilt too. Been breaking out of a red/white/black rut. These colors make me happy, happy, happy. Lots of ideas percolating. I need a jelly roll! Oh my gosh, these are so gorgeous. They would be perfect for my art quilts. I’m always on the lookout for solidish fabrics. Gorgeous colors – they would make a fantastic rainbow for my Wizard of Oz quilt. Thank you Kimberly and Timeless Treasures for making this giveaway possible! You guys are the greatest. Love all the colors, both old and new! I have the pattern and would LOVE to make this quilt! I always read and enjoy your blogs. Thank you for providing regular inspiration! Absolutely beautiful! Can just imagine all projects I could do with those yummy colors!! Would love to win. The colors are beautiful. A really nice selection of greens. I would spread them out in different projects for each of the four seasons! They are so beautiful. Maybe table toppers or small throw quilts. Gorgeous! Already have so many ideas sailing through my head. Just as inspiring as you are. Thank you for this opportunity. Oh, pick me!!! I would love to sew with these fabrics. Mostly I do hand applique. These would make lovely flowers, leaves and thems. I may have to purchase the whole line anyway!! Thank you Kimberly for the contest. I see a Jacqueline deJonge rainbow quilt made with those colors. They are beautiful and I love solidish fabrics. Stained glass windows! That’s what I see when I look at these! Beautiful!! Finally getting a class with you. This line is amazing. I just want to pet them all. Love all the colors. Would make a beautiful quilt. I would love all these luscious colors. So many choices. I love these colors. They remind me of spring and make me want to search out the perfect pattern though they are so gorgeous I think a fairly simple lemonade pattern I have. I did one with batiks and it was gorgeous. I love the fabrics! I think they would be perfect for anything from your Modern Quilts and More book. I love that book and so many of those patterns would be beautiful in these blenders. Congrats on the expansion of the line! I would love to use these in a large block quilt in spring colors! 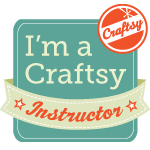 Thank you for being my first quilt teacher (via YouTube)! Love your quilts! Thanks for sharing! Absolutely marvelous, many colors for every season, every flower and landscape possible. We cannot go wrong using these beautiful colors in our creations. These colors are beautiful and crisp. So many ideas and so little time. Love them!! I always get inspired when looking at these beautiful colors. Can’t wait to see the new additions. The fabrics are beautiful. They are bright and happy and inspiring! I can think of a lot of ways to use these. Of course, I have rarely met a fabric I didn’t like. Thanks for being an inspiration and encouraging us to create. These wonderful colors are inspiring me to plan a new landscape quilt! I met Kimberly Einmo on a Quilt Cruise in 2010. I have adored her books, patterns and now a fabric line. I love the additional color selection. Ahh!! I have in mind a jewel box quilt, and what jewels these would be!! Gorgeous. I may have to buy them if I don’t win them. I love the array of colors–sure to go with things in my stash. I love your fabrics. I was so excited to get the first colors from you a year and a half ago. I loved the first 30 colors, can’t wait for the next ones. I think I know what pattern I want to use already!! I have a color class I teach and these gorgeous colors would be perfect to inspire my students. Each one must create a unique piece after we play for a bit…the possibilities are ENDLESS! Thanks TT and Kim for inspiring us all. I’m in love with your solid-ish line! The many different designs they could make are endless! I’m seeing a starburst type of design with color gradations to start with! Would love to win this giveaway! This are such a nice collection of vibrant colors.I love the blues and oranges..They are all pretty.I enroll to one of your classes in Craftsy this will be a great fabric for the Lone Star . I would love to use each one of these in a quilt! I love all the colors! I love the new colors…I utilized some of the first group with my stash on projects. Wonderful blenders. So many beautiful colors, I’m definitely seeing a lot of jewel tones and wonderful colors to accessorize with other fabrics. An appliqué project is on the horizon with these fabrics!! How does anyone choose? Those blues are so cool and fresh after a long winter. Then, those burning oranges. The cool greens. All the colors are beautiful fabrics. Congratulations on creating more joy for everyone. Such pretty colors on a brownish looking Minnesota afternoon. Oh my gosh, these colors are so rich! I don’t know how I could choose favorites. Great job Kimberly! Solid-fish motivate me to quilt, knowing that all these beautiful colors are the inspiration of a wonderful friend, Kimberly Einmo. I just love them all, I have your jelly roll with the first set of colors! I am redesigning my bedroom to be bright and happy and I see many opportunities with these fabrics! 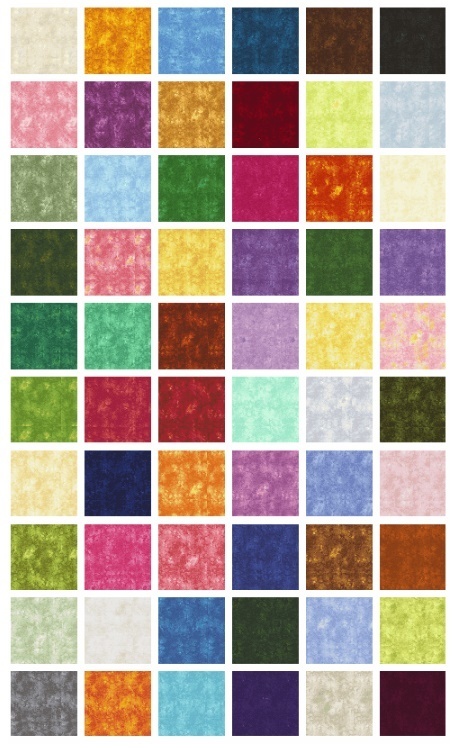 My friend and I just ordered two colors in yardage to put around a beautiful wall hanging! Leaving the primitive world of decor and with all that is going on, bright and happy is my new colors! 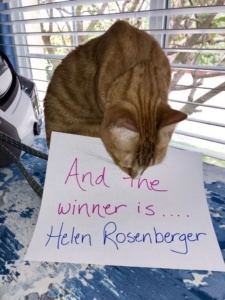 Congratulations, Helen! YOU are the very lucky winner of the 60 piece Solid-ish fat quarter bundle! Please email your mailing address to me through my email at moc.omnieylrebmiknull@ylrebmiK and I’ll get those pretty fabrics sent right out to you! The colors are beautiful and I am inspired to make a landscape quilt with the “beach” colors! I love rainbows and rainbow colors! I see this bundle and there are about 5 patterns that come to my mind. I love the range and intensity of the Solid-ish fabrics! These would be great for making my own spin wheels and flying geese crossing quilts in your classes next March!!! They are beautiful. I especially love the blues. What a great selection of gradations, particularly in the blues and violet-reds! Just right for a modern transparency design i am working on. Always looking for beautiful fabric to “build” another quilt as my late husband used to say. These are awesome. So many gorgeous colors. I just love them. First I would have to hug them. Then start planing a quilt for each season. I want to do a rainbow quilt someday! These would be perfect! Bright colors = Big statements !! WOW – what luscious colors – I can imagine them in an upcoming quilt I want to make. Mahalo for the giveaway. What a lovely rainbow that is! Beautiful fabrics! They remind me of a birthday party. I would use them for a colorful kids quilt! Gorgeous fabrics, better than chocolate. I’d like to make a lone starburst with these. Love these fabrics. I would use them for floral appliqués on a quilt. I actually am working on an Applique project that I needed a solid but not a complete solid. Seeing these has been an inspiration for what would work for my project. Thank you for the chance to win an awesome prize. Have a great weekend. I love making tote bags, zipper bags and gifts for family and friends and these fabrics would be perfect to add some special embroidery to on my multi-needle machine. So much nicer than plain solids for sure!!! Thanks for the sweet giveaway!!! Wow! What a generous giveaway! I have not been sewing much for the the last few years due to health issues, but these colors just make me want to jump back in with both feet! The colors are luscious, particularly that Aqua and the colors in the pink range.I’m ready! The new colors are just gorgeous! I think that they would add interest to a modern quilt in place of a regular solid. This fabric is absolutely beautiful. Perfect for a Baltimore Albumn quilt. I have been wanting to try these! They would be so pretty with a black background!!! These Solid-ish colors make my heart sing. When I’m feeling a little low I go to the fabric shop to lift my spirits. I would be floating in the clouds if I won all these, they are truly inspirational . The possibilities are endless. I was lucky to have taken a class with Kimberly at the Houston International Quilt show. She lived the 9400. I bought one and received some fat quarters. They we’re of her new fabric line solidish. They we’re beautiful. I used them in a quilt I donated. They we’re great. Whenever I see her fabric I buy some. I hope you teach again this year. Your classes are always amazing . I also took classes from you in Haymarket, VA . When I moved to Florida I got all white furniture Now I want to add color -quilts on the couch, walls and beds. This would be perfect! Thanks for the chance to win. As I looked I kept thinking that would go with this fabric or contrast with another fabric in my 3-4 quilts I’m planning. I’m seeing a beautiful stained glass quilt or even some backings to another Girl Scout patch quilt. Those would look so good in my quilt! I love all of the bright and bold colors. They just make my happy when I look at them. Colorful orange peel is what I see! The colors inspire happiness in me and the need to live life to its fullest by the way of my own drum. A friends you daughter used to wear a tutu over leggings in many of these shades and just twirl around happy as can be. Not a care in the world except for how her tutu made her feel. happy. This inspires me to make a quilt with all these new colors in a random fashion. To continue the reminder to have zest and happiness in life that little girl carried with her every day. 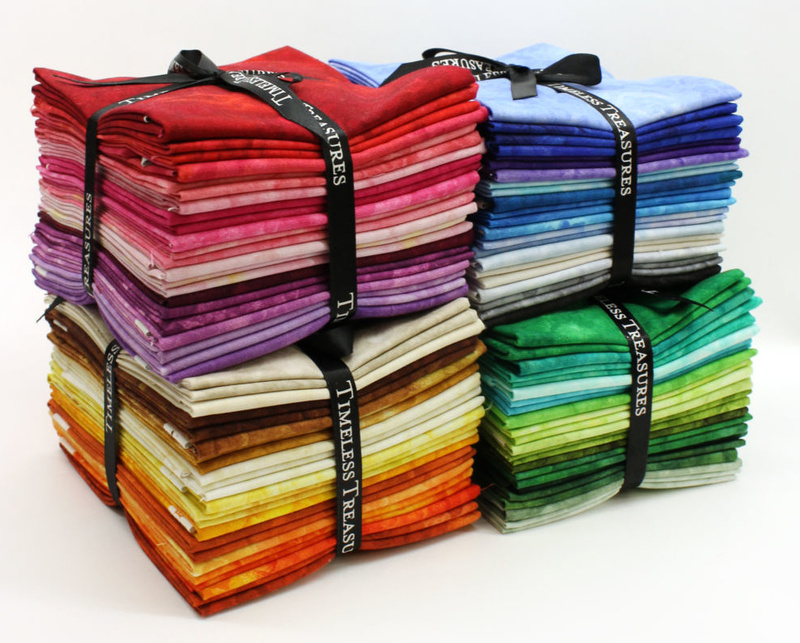 Kimberly and Timeless Treasures thank you for such an inspiring collection of colorful fabrics. When I look at all the beautiful colors, it makes me think of spring and all the flowers that come at that time of year. These fabrics would look beautiful in a pinwheel quilt to take on picnics or adding to your bedroom to let you know that winter is gone and spring has sprung. Just keep those amazing collections coming! I need this line for my new shop. The whole world needs to see them! I took one look at that fabric and it felt like a bold of lightning hit my brain and started the juices flowing! I don’t know if it is the winter blahs, but I had not felt too much like making a new project until now. When I saw the stack of colors, it was like fireworks of ideas going off in my head! Thanks for the jump start! I absolutely love these colors!! I am two new grandnephews arriving in June. They will be getting baby quilts with these colors. Definitely one is going to have some bow ties!!! I’ve been working on a black and white baby quilt. Seeing all those gorgeous colors my thought is,”Why” would anyone want a black and white quilt? Would love my next baby quilt to have some color! Those beautiful colors! Love your work and your sewing room. Oh my mind is racing here. I can think of a dozen different quilts that would just sing with these fabrics. Lone Star in one, but all of your patterns in your books would be fabulous too. A bargello pattern would also be stunning. I just can’t decide. Thank you so much for a chance to win!! Your colors are lovely and I look forward to using the fabric in rainbow and unicorn quilts requested by my three granddaughters! 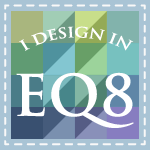 I am also excited to use the fabric on my new Acuquilt machine I am sharing with friends! LOVE,LOVE,LOVE all the new colors would love to have these amazing fabrics in my stash! I love this collection. I would like to make a pineapple quilt with all the colors. Thanks for inspirating us to keep quilting. Oh what lovely fabrics! I would love to work with them in my next appliqué project. I can see the flowers blooming, the leaves shining! Thanks for the dream of winning!! Stunning colors! Makes me smile. Great colors. I would use them in a landscape quilt or a quilt with flowers. I’m inspired to to do an English paper piecing project, using all of these fantastic colors! What beautiful colors!! I am inspired to make a double wedding ring. These fabrics are beautiful! I love all the new colors! I love these colors. I am picturing a pure black background with flying geese. Beautiful! I am loving these bright colours Thank You for giving us brightness. I see a big quilt comijng out of this fabric loving the reds, blues and yellows. Love, love love it. Wow, what beautiful colors. I can imagine so many uses for this line. That is in addition to two of your patterns that I already have fabric to make, Diagonal Dash and Fire & Ice! Can’t wait to see the new ones in person. I want to roll on the floor in a rainbow of solid-ish! These are beautiful colors! Would be great for appliqués !! They would be good additions to any quilt….I’d use some in a wall hanging. I love all of the solid-ish colors! They would also make beautiful string pieced blocks! Thanks for the chance to win! Beautiful fabric. I see stained glass quilt. These are beautiful and I will happily offer them a good home! I attended one of your classes in Paducah Fall 2017. Can’t wait to get more of these lovely “solid-ish” colors. Just right for the postage stamp quilt I have on my to do list. See ya in Vermont. I can see a rainbow, pretty rainbow. Would you please pick me. Beautiful fabrics! First I would play with them for a while 😁 then, I see a sunset on the lake. Blues and greens, yummy!! What lush colors! I need them all. All those colors would look great in my grand baby’s new quilts. Children love color and a great way for two of them to learn their colors! I see lots of art quilts with nature scenes! These colors are luscious! The new line is just gorgeous! Get those rotary cutters ready girls! Such luscious colors. I’m starting a big project with embroidery and these would be perfect as my backdrop. What scrumptious colors! I always feel like a kid in a candy shop when looking at fabrics, lol. Wow, these are lovely, would be great in a mosaic! Love these new colors! Of course I loved the old ones as well! I have a stained glass window at my church that I’ve been considering trying to capture in fabric. I think this might be enough to get me going! Great job Kimberly! I want to try a photo quilt of our dog Duncan who is a dog of many colors. Your fabrics bring texture as well as color and that is why I love the line. Thank you for the giveaway! Tried to comment early this morning, and apparently it didn’t make it through, so will try again. What a marvelous selection to add to a stash! Our quilting bee is having a star block exchange and the Silidish fabrics would be perfect. Thank you for the opportunity to win these gorgeous fabrics. Oh – gorgeous as the rainbow! I’m thinking about trying some flying geese or stars with a wonderful solid background to set them off. Beautiful and inspiring, Kimberly! I just love this line!! I think quilts with solids look flat. These fabrics add just the right amount of depth for any quilt. I have so many projects that I could use these delicious colors in. At this present moment, I’m working on a Lucy Boston project using bright colors. Thank you for the oppurtunity to win. I love to quilt with the pretty solids mixed with my prints would make a beautiful quilt. I follow you on Facebook and share your posts. I see so many that would make perfect skin tones! Beautiful choices. So excited. I am getting ready to do a jewel box quilt. I could really use a new solidish to use in it. I love that these give texture to the solid color. Yowsa! Beautiful and subtle depth bombs of color. Oh what a wonderful selection of colors, they look like a painters palette. I love making landscape wall hangings with beautiful fabrics. These fabrics would enhance every scene. The blended colors of each fabric are stunning. Any of the colorways would enhance my quilts. I’d love to “play” with all of the choices. What wonderful colors. I like that they can be used as blenders or as focal fabric. I have so many ideas and patterns for them, hard to decide which one to do first. Thanks for your great creativity Kim, and thanks to Timeless Treasures for bringing her inspiration to life. I’ve tried twice now, and still my post is not showing. Will try once again, as would sure like to add this to my stash! The collection represents every color of the rainbow and all the variations in between. After a too-long winter, they give me hope for bright changes in the world. These blocks are awesome!! Just looking at them makes me want to open my machine and start sewing!!! Would love to use these in a Pleasantville quilt! Love ALL the blues! Oh wow! I have loved the first 30 and now an additional 10! This just makes me think of so many different things. Panel quilts, applique quilts, oh a fun rainbow quilt. Oh what about The Trinkets quilt! Beautiful fabrics. Look like watercolors to me, and they make me want to use them in a collage quilt! I love all the colors in this line of fabric! I have been making quilts of valor and all the colors would make a wonderful quilt to thank a person for there service! Beautiful colors. Love them all!!! Thanks for the chance to win. Those colors are sew delicious!